Yet these instruments are worth nothing unless they are in the right hands. Like Gutenberg, our own addon is focusing on getting through to bloggers by helping them create great content. 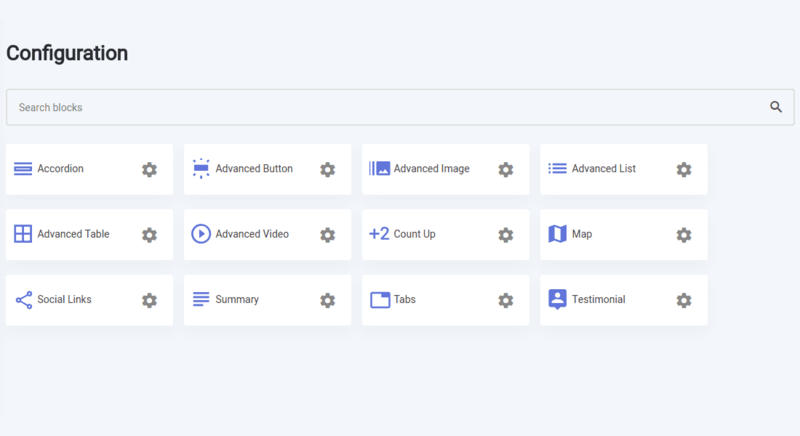 The latest version of Advanced Gutenberg makes it easier to personalize your editing experience in a brand new environment. Following WP Speed of Light’s path, Advanced Gutenberg has undergone radical changes to revamp the settings. The new style is not just mode modern, but it is also meant to be practical. All options are separated in their own category and accessible from the same page. The options have remained largely unchanged, though their organization is different. One important update concerns Advanced Gutenberg’s profiles. These virtual personas can be attributed to users, to limit or expand their choice of tools. Unlike other options, profiles can be modified by clicking on them. 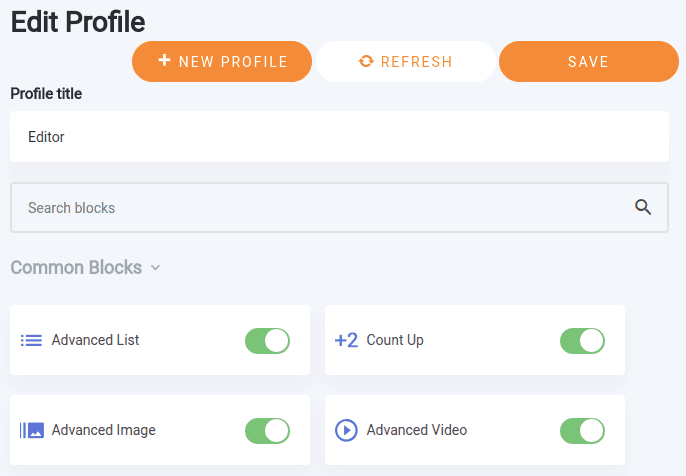 When in editing mode, profile details, such as their name, can be changed, whereas blocks’ availabilities can be toggled for them. From the second tab, the profile can then be applied to individual users, or user roles in general. Like this first menu, the others follow suite. The tonality is constant throughout the new Advanced Gutenberg. With a focus on organization and cleanliness, the WordPress addon improves productivity by making it easier to find what you are looking for. The new menu structure is only the starting point to bring settings closer to you. One of Advanced Gutenberg’s most exciting introductions in version 1.6 is the new search functionality. 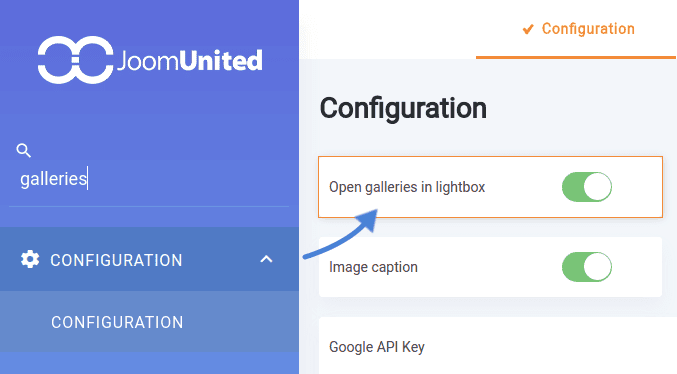 Located at the top of the sidebar, the search area lets you look for configuration options anywhere in the settings. When you perform a search, Advanced Gutenberg does two things. Firstly, it isolates the menus that contain what you are looking for. This functionality comes into play if you are looking for a group of options, so you can change them all at once. The second effect of searches is visible when you click on any of the remaining menu items. Advanced Gutenberg highlights the relevant options, bringing searches to the finest granularity and drawing your eye to what you are looking for. In the most recent major upgrades, Gutenberg 3 anticipated the extensions to the plugin by allowing developers to color-code their blocks, helping users to differentiate between them. At JoomUnited, we decided to give you the keys to organize Gutenberg. In the configuration menu, you will find three options to personalize Gutenberg. When enabled, block spacing gives the components extra spacing in the display. The third option, which is new, allows you to pick a color for Advance Gutenberg’s blocks, contrasting them with other blocks. The second tab in the configuration menu is another novelty for Advanced Gutenberg. The default blocks configuration allows you to integrate the editor more closely with your blog’s style. Defining the style of our custom blocks every time you insert them into a WordPress post or page is not only tedious, but it also opens up the door for oversights and inconsistencies. 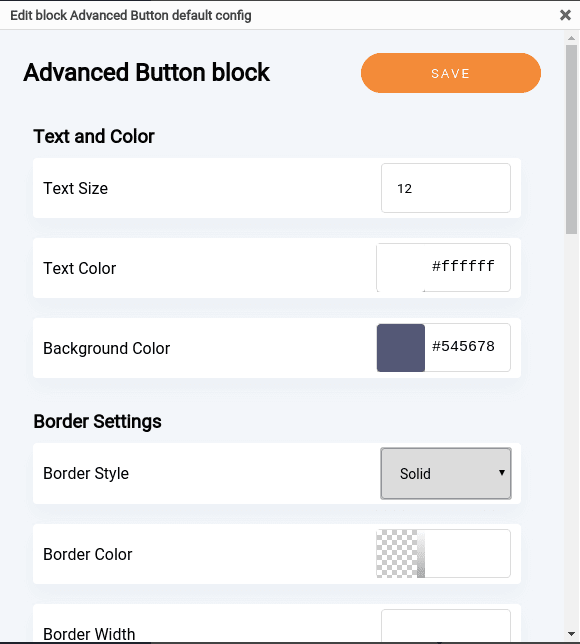 Advanced Gutenberg lets you define the general style of blocks, saving you time and ensuring uniformity. The editor is at the heart of any WordPress blog. It is easy to lose track of the details among all the hustle and bustle of daily updates, but Advanced Gutenberg takes away some of that burden with new personalization options and a brand new organization structure.